Scientists have discovered the existence of 4 separate species of what is coined “zombie fungus” in rainforests in Brazil. 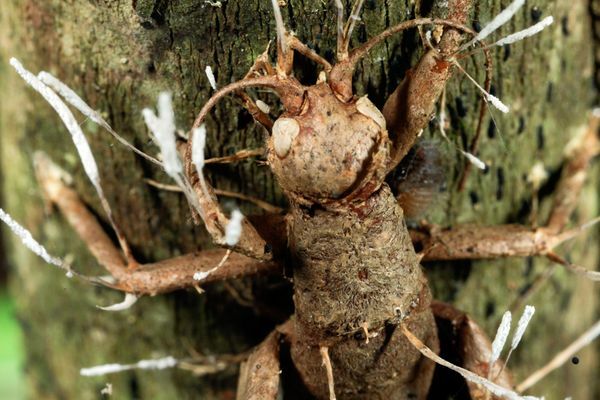 This zombie fungus overhauls the brains of the ants it uses as its host, and controls them in such a way as to force them to leave their colonies, and to relocate somewhere that is better suited for the fungus to survive before the fungus actually kills them. 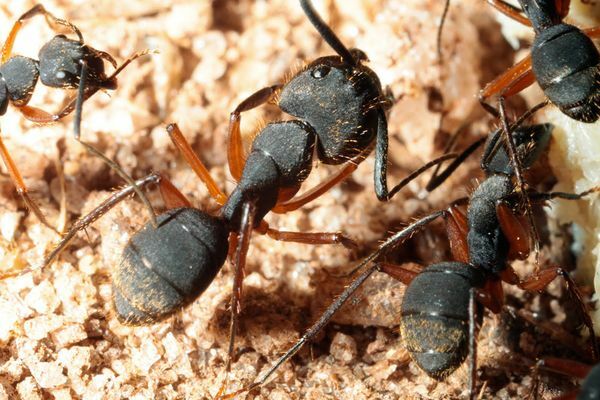 The scientific journal, Plos ONE, published a study on March 2nd, 2011, in which scientific researchers from Brazil, the USA & the UK explain they started investigating after discovering dead carpenter ants with fungus growing out of their bodies. What happens next? Well, the fungus grows out of the ants body, typically via the head and neck area, to release the spores needed for the next generation of fungus to proliferate. The organism’s scientific or Latin name is Ophiocordyceps, and it was thought there was only one species of such fungi. However, upon investigation, it’s been ascertained that there are, in fact, four of these fungi species. 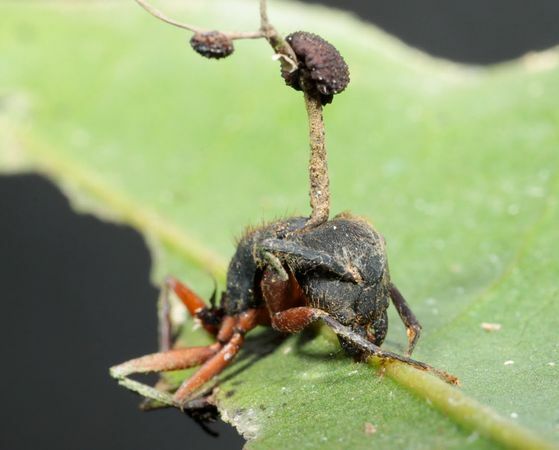 A stalk of the newfound fungus species Ophiocordyceps camponoti-balzani, grows out of a "zombie" ant's head in a Brazilian rain forest. Originally thought to be a single species, called Ophiocordyceps unilateralis, the fungus is actually four distinct species—all of which can "mind control" ants—scientists announced Wednesday. The fungus species can infect an ant, take over its brain, and then kill the insect once it moves to a location ideal for the fungi to grow and spread their spores. 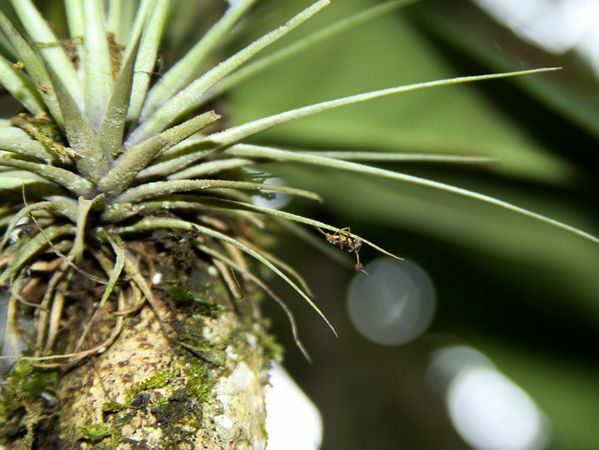 All four known fungi species live in Brazil's Atlantic rain forest, which is rapidly changing due to climate change and deforestation, said study leader David Hughes, an entomologist at Penn State University. Hughes and colleagues made the discovery after noticing a wide diversity of fungal growths emerging from ant victims, according to the March 2, 2011 study in the journal PLoS ONE. "It is tempting to speculate that each species of fungus has its own ant species that it is best adapted to attack," Hughes said. "This potentially means thousands of zombie fungi in tropical forests across the globe await discovery," he said. "We need to ramp up sampling—especially given the perilous state of the environment."